Jump into our Strala Intensive Training in New York, led by Tara Stiles! Schedule: 10am to 6pm both days. Mornings and evenings before and after-hours also open with Tara and Mike for Q&A. What to bring: comfortable clothes for moving, and paper + pen are helpful. 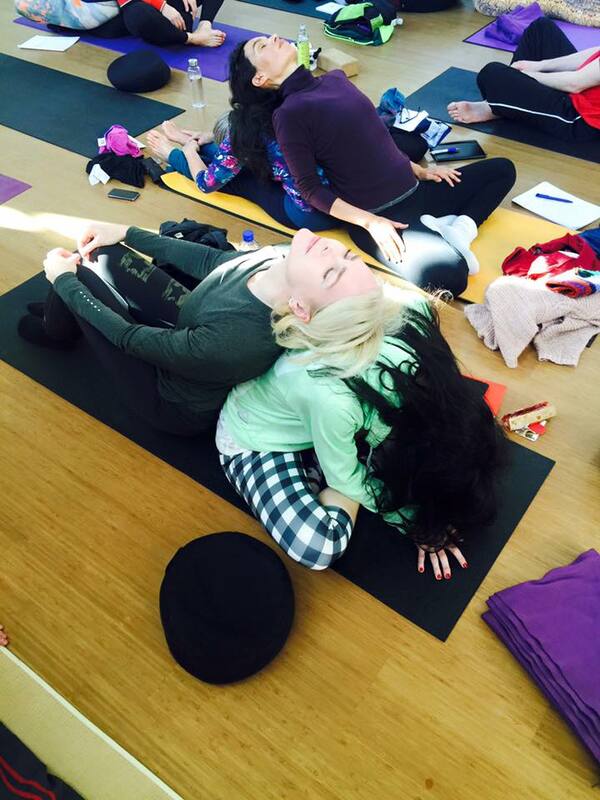 Strala Yoga is a Registered Yoga School (RYS) with the global Yoga Alliance Professionals. which gets people radiantly healthy, free, creative, and happy. 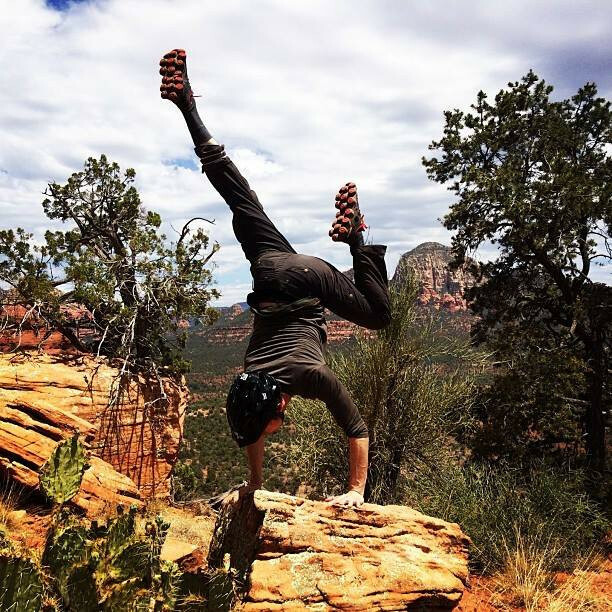 It’s a way of being, moving, and healing that releases the stress and tension limiting our potential, teaches us how to move with grace and coordination through all kinds of challenge, and leads to astonishing levels of health and fitness. Strala accomplishes this by combining the rich form vocabulary of yoga, with the movement and healing principles of traditional East Asian systems. It enables us on every level that counts – in our minds and bodies, our neurology, and even our chromosomes – to feel good, to heal, and to accomplish far more than we ever dreamed possible. Align with a clear, effective, connected, and inspiring method that will take your personal practice, leading abilities, and life to infinite possibilities. Helping people release stress and tension from their bodies and minds, learn to move with grace and coordination through all kinds of challenge, and heal all kinds of injuries and ailments is important work. You’re empowering everyone you reach to become creators of their own destiny, on the level of their health, and their whole life. It’s a wonderful thing to share. People are leading Strala all around the world following our Ready-to-Lead and Advanced Leadership courses. You gain a unique set of skills, for living and sharing this way of being, moving, and healing, that people love everywhere you go. Our program is backed by mind-body medicine pioneer Dr. Deepak Chopra, as well as Harvard Professor of Neurology and Director of the Genetics and Aging Research Unit at Massachusetts General Hospital, Dr. Rudolph Tanzi. What you receive here is a top-tier education, that is applicable for everyone. whether on your yoga mat, leading a class, or living your life. Our courses give the tools you need to become the leader you’re meant to be, to yourself, those nearest you, or to millions of people around the world. 1) Experience. Movement, breath, meditation, sensitivity, feeling, alignment, exploration, safety, health, nutrition, injuries, healing, spirituality, and history. from both your body and mind. You’ll take control over your own destiny on every level that counts – right down to your neurology, chromosomes, and gene expression. 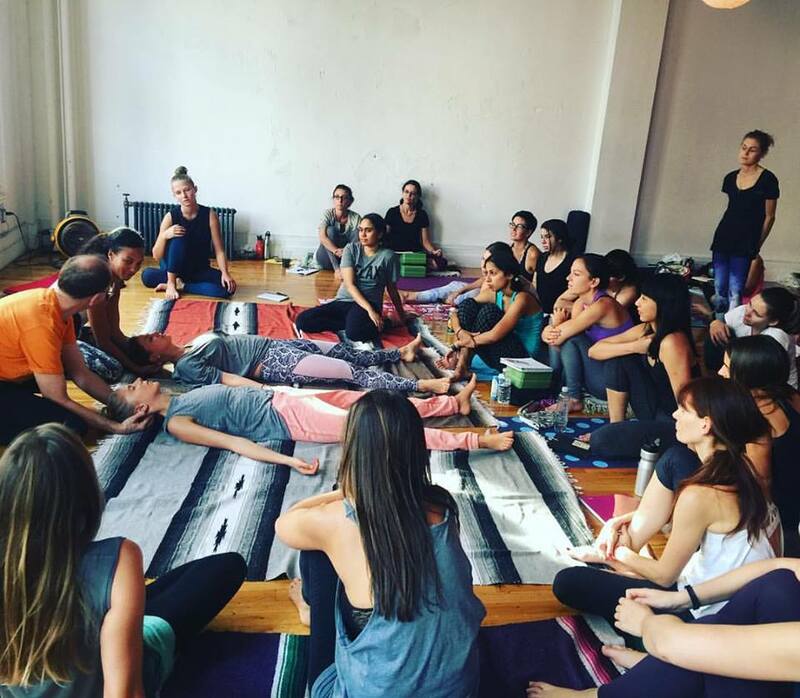 If you’re leading yoga, people will love the experience, and your classes will grow. You’ll be a creative, capable and inventive leader at work. You’ll connect easily & enjoyably with the people around you. Whether you’re interested in pursuing a teaching path, getting deeper into your yoga, or both, our Strala courses provide a journey that will transform your inner and outer world. What happens in a 2-Day Intensive Training? For our 2-day Intensive Training, we get into the Experience: How to uplift and enable yourself in your yoga, and your life. People mostly respond to how you are, far more even than what you say. So we begin by getting into your own way of being and moving through yoga, as practice for how you want to be and move in your life. is what you have to share with others. We have two whole days together for a nice immersion in how to move with grace and ease. When you move with coordination, your body and mind can stay relaxed, even in the midst of challenge. From relaxed, our energy flows easily, we’re able to feel, and can move creatively and inspiringly wherever we go. This is everything we need, to go everywhere we want. When we move without coordination, we have to use force and tension to get where we’re going. This disconnects us from feeling, blocks our energy, and triggers a stress response in our bodies. We become chemically less able to see the world around us, and the possibilities within us. We work much harder, to accomplish much less. We might be able to achieve some things by force and tension, but it never feels good, and it’s not sustainable. It’s important to find a better way, so we are able to move easily, gracefully, through everything. Drop the stress, leave boundaries behind, and accomplish far more while feeling wonderful, every step of the way. Introduction. An overview of Being, Moving and Healing. Approach. How to create our best yoga, through Breath, Feeling, and Natural Movement. Feeling. Slow down and breath deep enough to feel, believe that what you feel is worth responding to, and respond. Your connection to feeling and intuition allows you to move into exactly what you need in each moment. Process: The Principles of Natural Movement. How to accomplish far more, with far less effort, in everything you do. We begin with our breath, connect to our feeling, and move from our middle. With easy, natural movements, we can progress far beyond pose goals, and dive into the process of getting to know our bodies and minds. Practice: Hard Things Easy Workshop. Learn to handle challenge in an easygoing way. Drop the stress and struggle from your body and mind, and use the principles of natural movement to make the impossible possible. Healing: Connection, Touch and Support. How to create a supportive, enabling, and healing relationship with yourself, and with others. More Practice: 4 classes, 2 each day. All of our trainings are very practical. We’re not just talking about all of this – we’re going to do it together. So we have plenty of real class time for practice, exploration, and making what you want real in your everyday life. You can read more here for a day-by-day account of Intensive Training. that make us small. We are each able to drop conformity, and find our own way, in our own bodies. We are each able to create a life that uplifts and inspires us. Begin by matching how we move to how we want to live. Want to leave stress behind and move easily through challenge? Practice leaving stress behind and moving easily through challenge. Connect with what we are, and move gracefully from where we are. No more stuffing ourselves into boxes of poses. This isn’t a yoga revolution. It’s a you revolution. Intensive Training gives a good introduction to Strala, with a first focus on your own practice of being and moving. People are leading Strala all around the world following these intensive trainings. We also provide the longer 200+hour Ready-to-Lead Training, which covers more breadth and depth than the intensives, including focus on health and nutrition, injuries, diagnosis, and healing. This longer course gives a lot more time for building confidence and competence, through guided practice and feedback with the group. 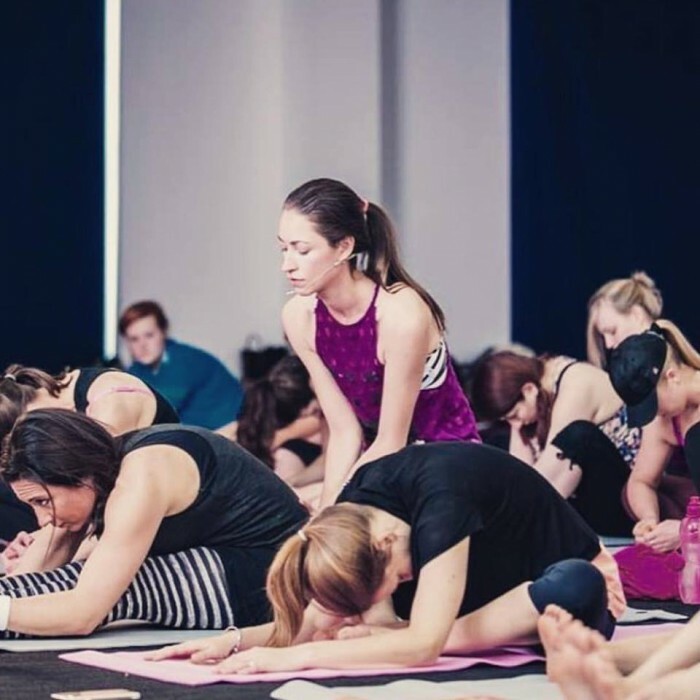 Strala is quite different from other schools and styles of yoga, and our faculty is also quite different, so what we’re able to cover in our programs is completely new material from other intensive and 200 hour yoga trainings. It makes a nice progression and addition to any previous studies. 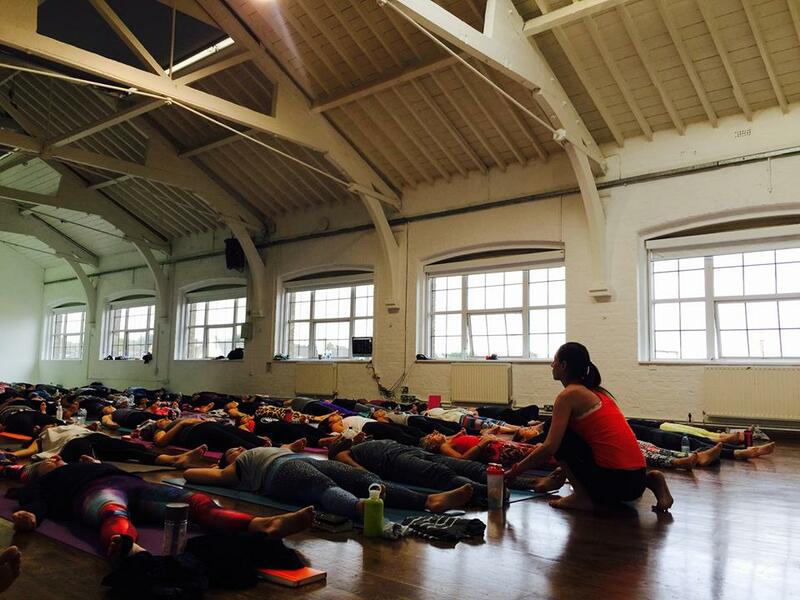 Strala is part of the global Yoga Alliance Professionals / Yoga Alliance UK, and they certify our 200+hour program. They don’t certify shorter programs, although our standards and approach are the same, and they count our intensives toward continuing education. We joined this alliance because they’re working to evolve and adopt much higher standards than their American counterpart. They don’t think all trainings should have uniform generic content, led by people without much experience or practical ability. Instead, they’re looking to evolve certification that supports the best leaders in the world, to share what they know. This is important to us. Some employers look for alliance certification, but it’s worth remembering that getting a job doesn’t have so much to do with alliances, and YA in America particularly is just a marketing organization. It’s not able to provide standards or exams for qualification like medical school. So just like any kind of work, getting a job relates mostly to being excellent at what you do, and lining up well with the person who is hiring. 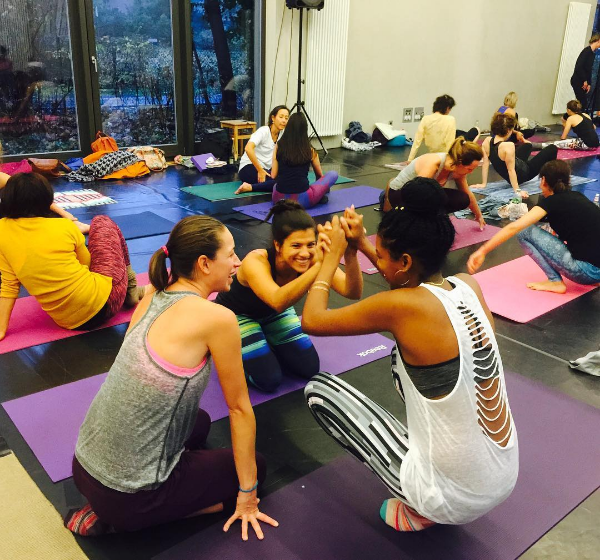 People are leading Strala all around the world following these trainings, in all kinds of places – including independent studios, gyms, health clubs, community centers, dance studios, apartment complexes, hotels, and even their living rooms. There are so many opportunities out there, and Strala connects especially well with a very wide range of people. This makes it easy both to find and create your own work. Of course it takes time and practice to get really good at anything – much more than a few weeks or months of training. So long after our core time is complete, Tara and Mike remain available to help everybody keep progressing. We want everyone to be really good at this! It’s why we do what we do. It’s in our minds. Strala psychology is extremely expansive, freeing, creative, intuitive, never stuck. It’s in our bodies. We’re everything we are – body, mind and spirit, all one whole – and we care for all of it happily & intuitively. It’s in our world without rules or “correct” ways. It’s people finding their own ways into their own bodies, and into a world without limits. Take care of yourself to take care of everyone. Mike Taylor the co-founder of Strala, and our resident healer. He studied mind-body medicine at Harvard, and complementary medicine at Oxford. Mike has practiced Eastern movement and healing, including tai chi and qi gong, for more than 30 years. In his younger years, Mike challenged centuries of reasonable and well-tested martial traditions in hundreds of competitions, by applying unruly imagination to a world where rules were unbreakable. His record established the strength of finding your own way in your own body, rather than copying the techniques of other people’s traditions. As he got older, he continued on to medical applications of the mind-body connection in university. After running into walls with standard medical practice in the U.S. and England, Mike left his healthcare roots. The internet was just getting started, so he joined a web company, and then founded a few more. Through Strala, Mike has found his way back to health care done right: helping people let go of stress in their bodies and minds, and become their own best caregivers and creators. Mike climbs mountains and explores the backcountry on ski and snowshoe in his spare time. $795 USD deposit reserves your spot, and is the complete amount due. All payments are final, and once a reservation is made, the total training amount is owed. This payment is non-refundable. Admission to training is solely at Strala’s discretion. All of our courses have people from a wide variety of backgrounds and experience. Some are relative beginners, some are long-time practicers and teachers. Some want to teach, and some want to progress with their own yoga. We’re lucky to have this rich diversity, it makes wonderful ground for real-world learning. If your near-term aim is to lead yoga classes, at least 2 years of yoga experience is required before you begin teaching, since what you have for yourself forms the ground for what you have to share. We provide a Strala Intensive Training Certification, upon successful completion. Strala Yoga is a Registered Yoga School (RYS) with the global Yoga Alliance Professionals. 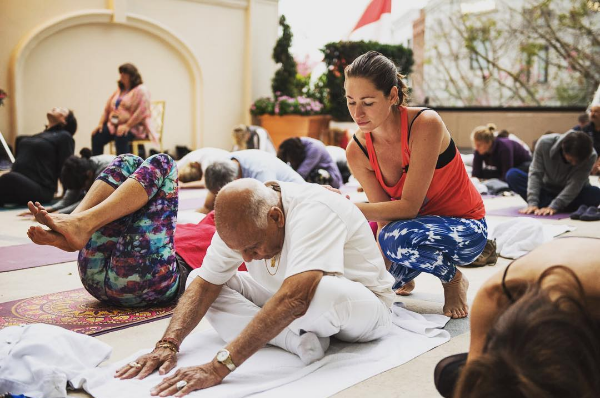 Our 200+Hour Ready-to-Lead and 300+Hour Advanced Leadership Trainings are registered by the Yoga Alliance Professionals; YAP doesn’t register shorter programs, although our standards and approach are the same, and they count our intensives toward continuing education. Your intensive training time also counts toward your practice hours for our longer 200+Hour Ready-to-Lead Training. We have a library of classes led by Tara and Mike that’s available online, as well as an online course that we created on MindBodyGreen, that provides more detailed instruction along with classes of various lengths. A: You can find our training schedule and lots of other great information here. Q: I don’t live in New York, where can I stay during training? A: All our trainings have travelers from all around the world. People have had good experiences using the site Air B&B for affordable short-term rentals.